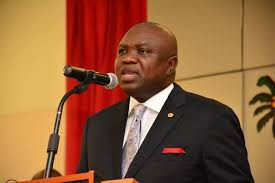 The Lagos State Government has ordered bonded terminals operating in Ajegunle, Ajeromi Ifelodun Local Government Area to relocate their operations from the area within the next 21 days. The Commissioner for Physical Planning and Urban Development, Rotimi Ogunleye made public the decision on Monday after a closed door meeting with the Lagos State Commissioner of Police, Mr. Edgal Imohimi and owners of the terminals. A bonded terminal is a facility approved by the Nigeria Customs Service for the temporary storage of imported goods until the duties have been paid, or the goods have been released. Ogunleye also gave trailers parked on various streets within Ajegunle and Olodi Apapa to vacate the streets within 48 hours. According to the commissioner, the bonded terminals were located in designated residential areas, which automatically makes their operation in the location be in conflict with the state’s Urban and Regional Planning and Development Law.